I don’t make enough time for it now that I am on the road so much. GPS…a great tool but sometimes not the best at giving directions. 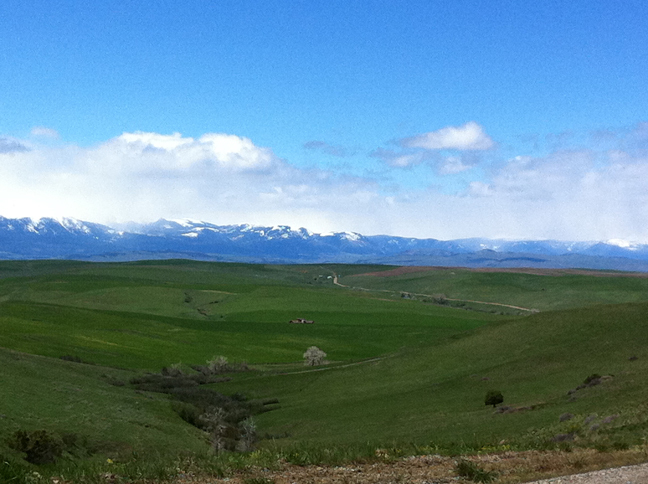 On a recent trip to Montana I found myself bumping and sliding down a gravel road. I grew up driving on gravel roads so it wasn’t the gravel it was the twists and turns and nearly getting stuck in my little front wheel drive car that had me nervous. Next time I will consider an alternate route. On the up side this little drive displayed some of the most picturesque scenery including snow topped mountains and beautiful rolling hills. A nurse like my mom. 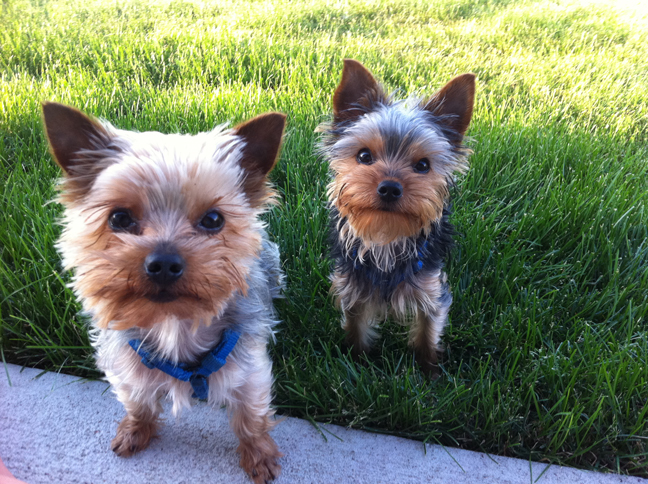 Our little yorkies, Hampton & Sophie. They are not typical lap dogs. Their small size is deceiving, they have so much energy and always want to play! Down side of having such an adorable pet…you can’t stay mad at them for too long so discipline is an issue. pieces and we both have beautiful curves. The rotary cutter….can you imagine cutting everything out with scissors? That must have taken forever! LAURIE AND JULIE LOVE MODA!! Every time I pack to leave I feel like I’m packing for a month…. .they would have to be cell phone, computer, and my handy dandy Moda scanner! Starbucks….my motivation for getting out on the road on those 20 below mornings! Honey, I know you’ve been complaining that there isn’t enough light in the garage and I have solved that problem…… we are getting rid of that solid….,now wrinkled, door and replacing it with a new garage door that has windows in it! Isn’t that great?! Me & my: senior prom / wedding / bad hair cut / proud moment – with trophy / school photo, etc. (send photo) Explain! Hypercolor shirts, the fabric changed to a different color when it was warm…they were a lot of fun. Maybe I could start a new trend… hypercolor pants??? I would be a quilt shop owner. I would also strongly consider stay at home doggie mom. Would you like charm packs with that? 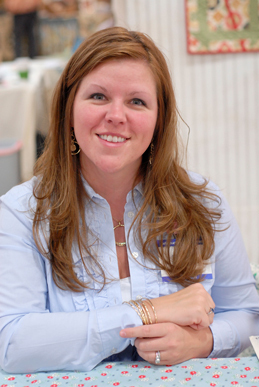 Laurie is also a contributor to the Cutting Table blog. Laurie’s coulmn is… On the Road Again, featuring quilt shops on her travels. Sounds just like you from what I can tell. I cracked up when I read your bumpersticker! We miss you at the “Cabin”. See you soon. Ellen. K.